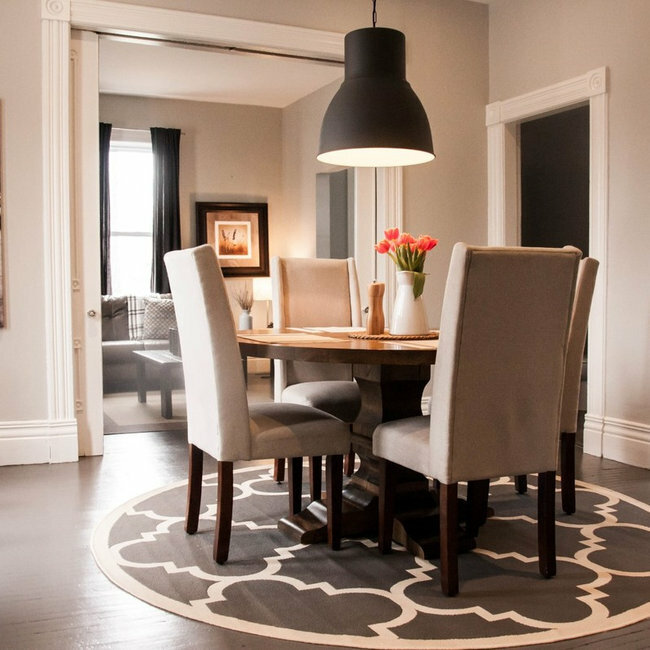 Renovation of a dilapidated century home in southwestern Ontario. 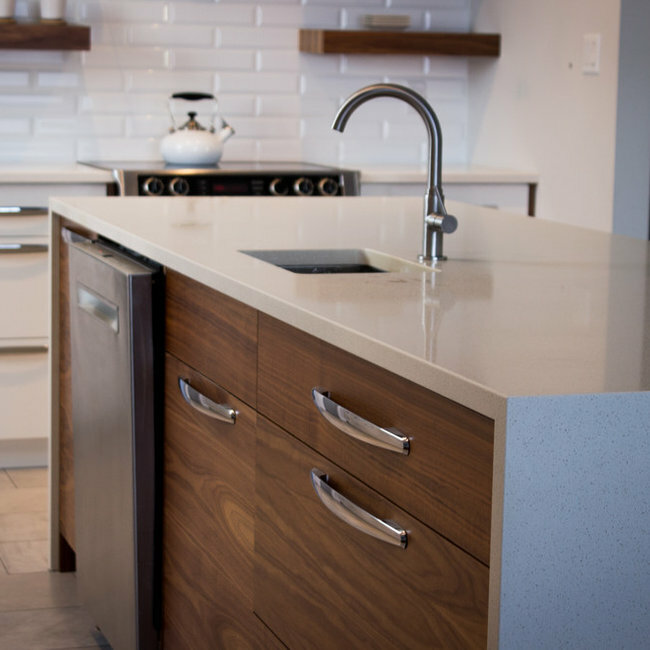 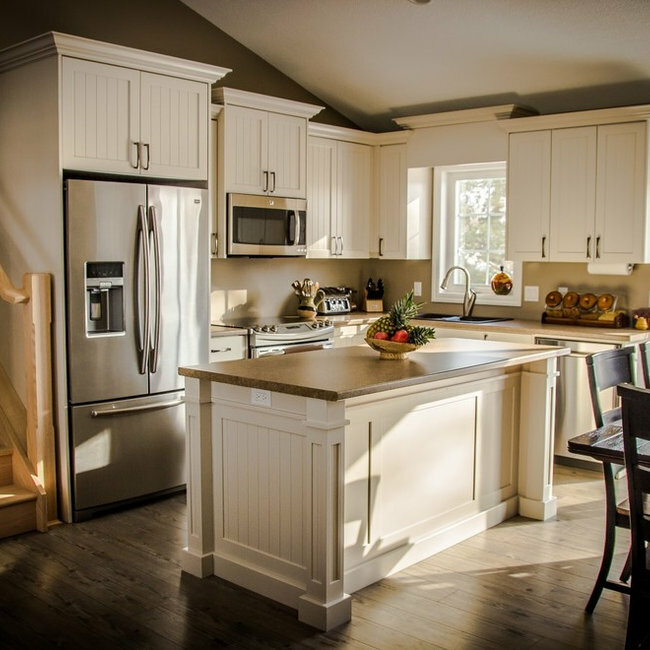 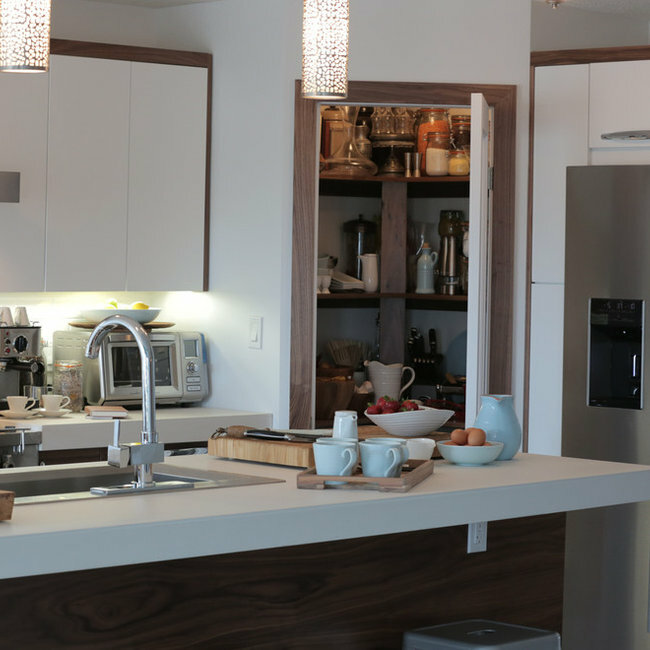 Southwestern Ontario, new home kitchen by Möbelhaus Cabinetry and Hildebrandt & Co.
We are proud to introduce the custom kitchen by Möbelhaus Cabinetry of Aylmer, Ontario, Canada produced for Chef Jonathan Collins. 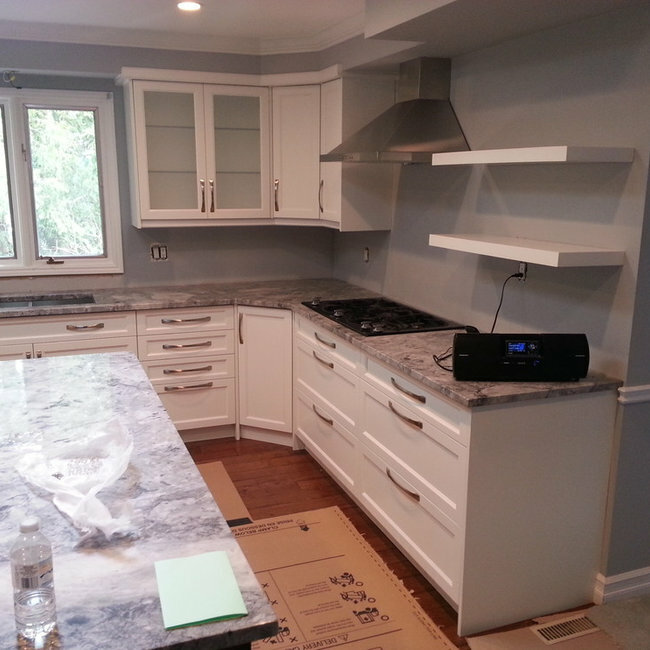 Painted, maple, shaker kitchen built and installed by Möbelhaus Custom Cabinetry of Aylmer, Ontario, Canada. 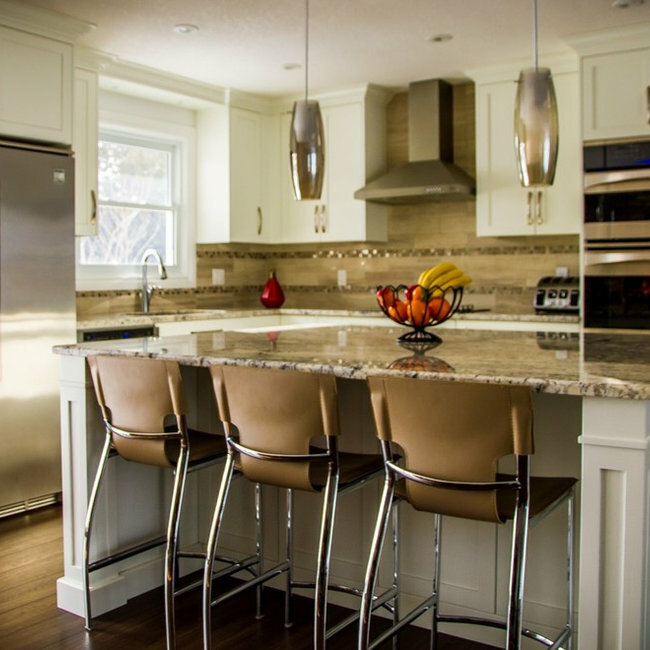 Granite countertops by RGS Granite of London, Ontario. 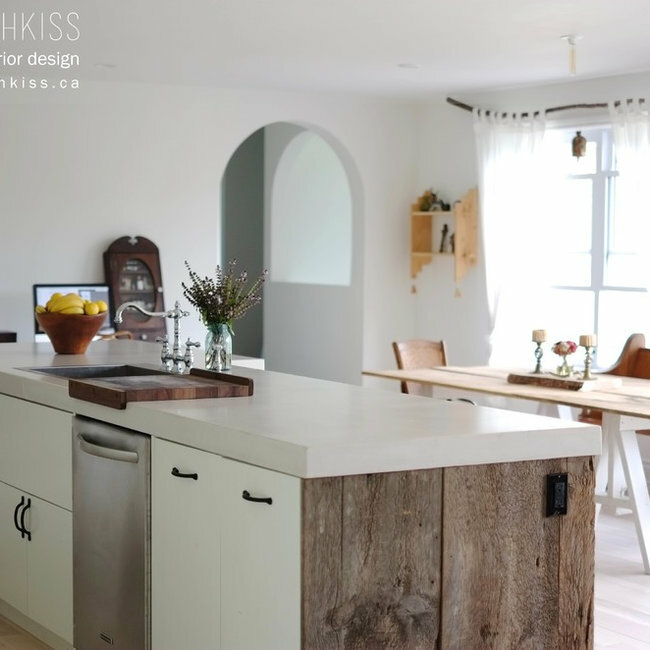 Design by Hildebrandt & Co.
Eclectic Kitchen using new and reclaimed wood with concrete countertops to create a one-of-a-kind kitchen and bathroom. 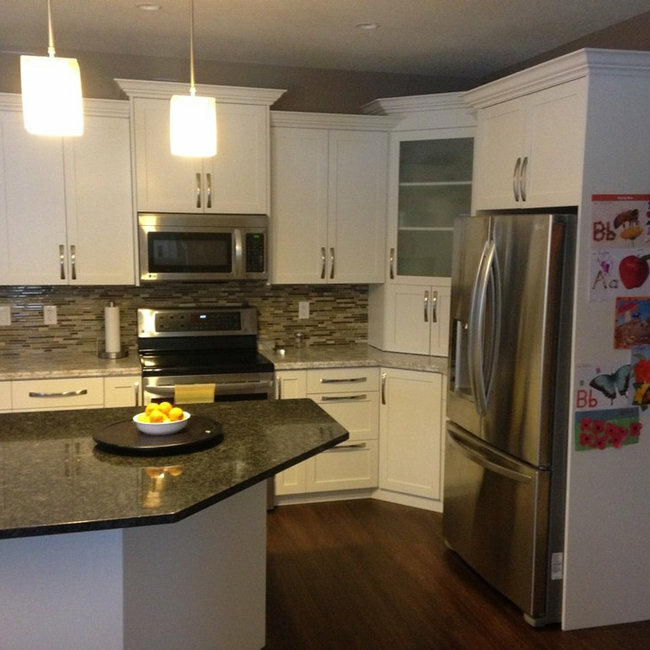 Remove 80's style melamine/oak cabinetry and replace with painted/stained shaker maple kitchen with granite countertops in SW London, Ontario.